It’s that time of year again – caravan and motorhome launch season! As many UK and European manufacturers start to unveil their new models for 2017 we asked our blog readers if they would be changing to a new caravan or motorhome. So how did the votes go? With more than 200 votes, we can reveal that nearly a quarter said they would be going for new for the 2017 camping and caravanning season. Eighteen per cent of our voters plan to buy a new model of caravan for 2017 and six per cent plan to buy a new motorhome. But there were still a few who were yet to decide, with 14 per cent voting for “maybe”. Perhaps the forthcoming Motorhome and Caravan Show 2016 or a dealership open day might just tempt you further and persuade you to leap into a new ‘van for the new year…?! However, the majority of our voters were more than happy with their current model of motorhome or caravan – with a nearly two thirds saying they would be sticking with their current model for 2017. 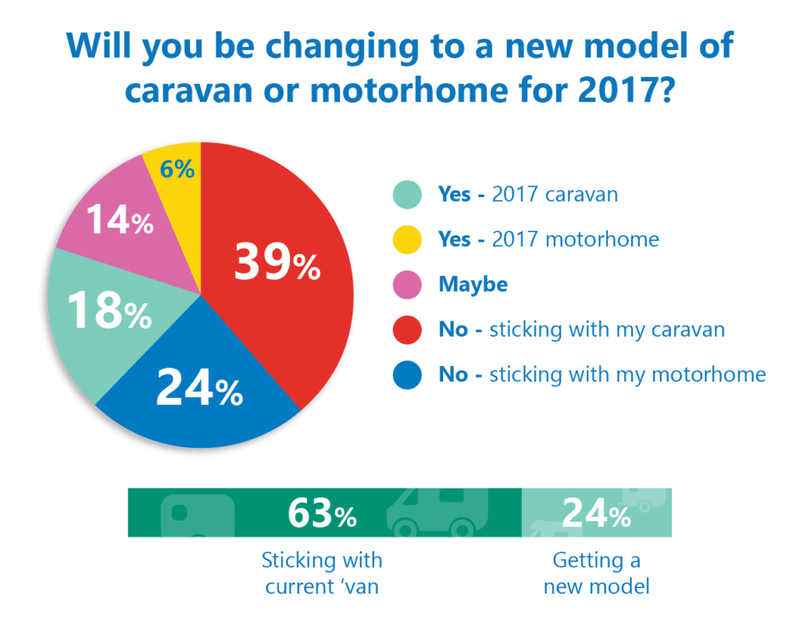 Thirty nine per cent of caravanners would not be changing and 24 per cent of motorhome owners also voting “no” for a new model. What do you make of the results? We’d love to hear your views in the comments box below. And watch out for a new poll coming to the blog soon.